Hi, I'm Andrew 'Tev' Teverson and I have taken over as Modcon Registrar. 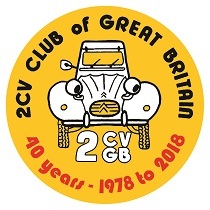 My dealings with 2cvs started a number of years ago when my neighbour said he was going to scrap the 2cv he had had sat on his drive for years if no one bought it in the next month - to which I flippantly said "well, if you do, let me know and ill give you the £100 for it" - having got that back on the road (nominally for my other half) I was hooked. I next managed to acquire 2 1/2 2cvs from a guy I met at a festival, with the plan of building a twin engine sahara copy (though that is still sat part built in my yard I'm sad to say). Not long after I bought a very tired Falcon with a rotten chassis (among other things). This one did make it on to the road and, whilst still being very tatty is basically my daily driver in the summer. I have just acquired an ami super Falcon, so that is the next project. 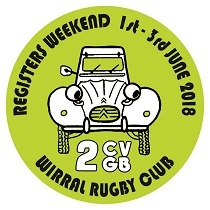 When the club set up the various registers, a Lomax register was formed, but this soon changed to encompass all kit, self-built or radically altered vehicles. 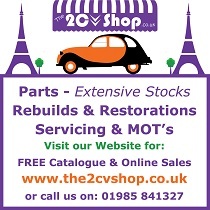 I see my role primarily to ensure that there is a point of contact for owners of all the unusual cars, and to make everyone aware that modified vehicles are just as much a part of the club as any standard 2CV or Dyanes.